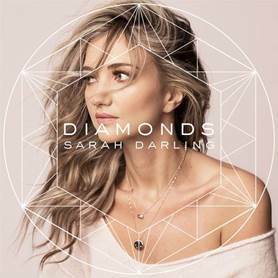 Celebrating the announcement of 5 UK Festival dates this summer, including British Summer Time at London’s Hyde Park on July 15th, country singer-songwriter Sarah Darling releases her new single ‘Diamonds’ on Friday June 15th. The single is her second released in 2018, following the soul-stirring single ‘Wasted’ this March. Diamonds, much like most of Sarah’s music is enchanting and mesmerising. Sarah sings with such delicate beauty that you can’t help but feel captivated. Sarah is one of those artists that live, you just want to sit there and soak it all in. The detail to the melody is really stunning with each instrument standing out, making an impact but the closing piano instrumental makes the song that little more special.